Picture the scene…You are a small HR team in a big company. You have thousands of staff requests to deal with every day. The phones are ringing off the hook, your inbox is about to burst and you really want to at least try to get out of the office by 6pm tonight. You have a redundancy programme to deal with, one case of long term sick leave, another case that might just result in an employment tribunal. 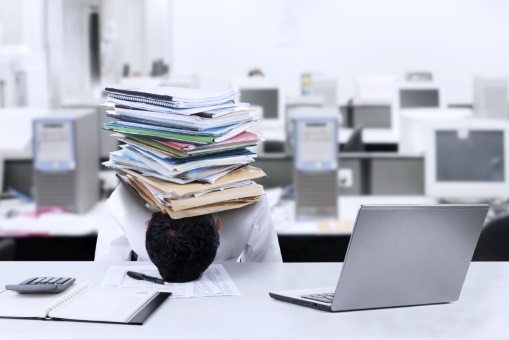 Stress levels are mounting but in today’s economic climate there is no prospect of any extra staff members to help ease your burden. It is an awful lot for your busy HR team to take on and some of the new areas of Employment Law are potential legal minefields and present some real pitfalls, especially if you are trying to manage case work by using an ad-hoc system with files of paperwork, notes in diaries and reminder emails. That is where Workpro HR can help you, it is a specialised Employee Relations case management system with expertly designed processes and standardised features especially to help ease your burden. Workpro HR software guides you along agreed workflows and is specifically designed to manage timescales, processes and documentation associated with complex HR casework. This can include occupational health and long term sick leave, performance management, grievance or disciplinary, employment tribunals, applications for flexible working. Workpro makes it easy to manage difficult case work, so perhaps there is a way to ease the burden and escape from the office by 6pm after all! Click here to learn how WorkPro HR can save you time, money and help reduce the burden with your Employee Relations casework management.